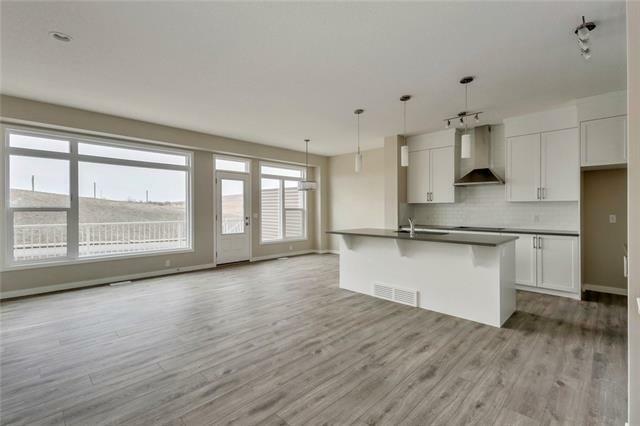 Welcome to the 'Verde' by Brookfield Residential located on a lot with a South facing backyard that backs onto a farmer's green space and walking paths. 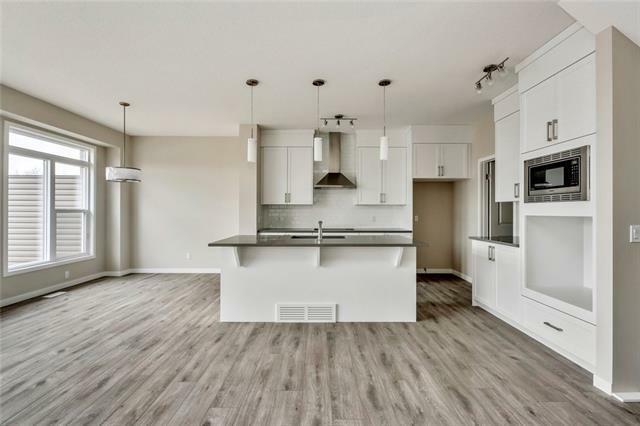 The main floor hosts a large kitchen featuring stainless steel appliances and timeless white painted cabinets with a quartz counter island that overlooks the dining room. On the upper level, you'll find the bonus room, which is perfect for entertaining or for providing the kids a place to play. The upper level also includes the master bedroom which has a spacious 5-piece ensuite bathroom with a standalone tub and dual sinks in addition to two more bedrooms and a full bathroom. Never travel down a flight of stairs to do laundry again as the laundry is located on the upper level too! 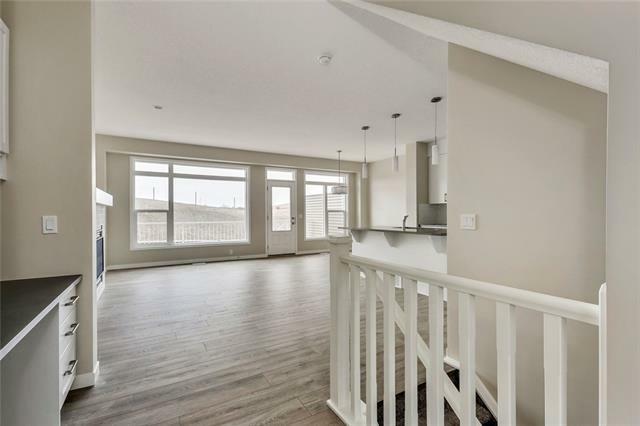 A double attached garage, large back deck and full basement complete this home. This home is just half a block away from the future K-8 school and has access to many great walking paths. 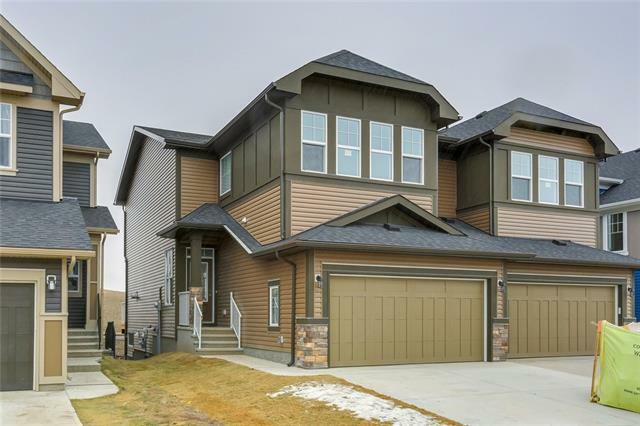 Legal fees & Alberta New Home Warranty included with the purchase of this brand new home.